Marketers these days have tons of digital touchpoints at their disposal and a plethora of ways to reach potential customers. Although that has helped streamline their marketing efforts, it has also exponentially increased their obligation to craft compelling content for the audience. With businesses – big and small – trying desperately to establish their presence through web pages, blogs, social media platforms and more, the digital field has become highly saturated and cutting through is now harder than ever. This is the reason why you must consider using the best content marketing tools to create content, market, track and monitor it. With the help of the best content marketing tools, you can growth hack your content marketing. Growth hacking content marketing is about bringing in more traffic to your website, blog or social media channels. Growth hacking provides a lot of flexibility to content marketers and they can employ many different strategies to growth hack their way to the top. However, today, our focus is not on the strategies used for growth content marketing. Instead, we will discuss the tools you need to growth hack content marketing. This Google Chrome extension or website provides marketers with a variety of content and news about digital marketing. Unlike other communities, Zest.is wants you to read content and news upon starting the browser, (when the Chrome extension is installed). This way, you don’t have to open a new tab to see the content. You can just open your browser and engage with posts that appeal to you. The filtering options of Zest.is can be used to find the posts that resonate with you. One of the main appeals of Zest.is is, the content has to provide real value to the reader to be accepted by the platform, this weeds out weak content. When curating content for your social media accounts, Zest.is provides a pool of high-quality posts with lots of social proof. You will be sure to find lots of share-worthy content with Zest.is. 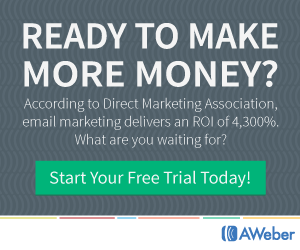 AWeber is one of the best content marketing tools available today. With the help of AWeber, you can collect subscribers, create and send emails and perform a bunch of reporting and analytics tasks. 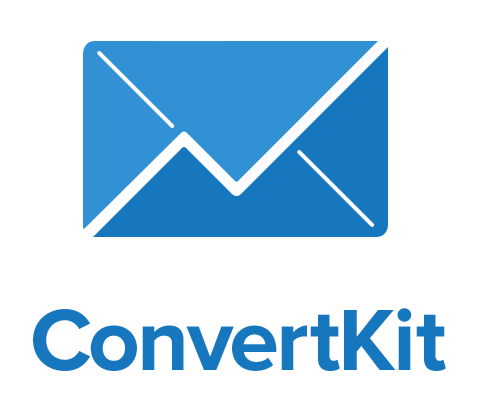 This email marketing platform also offers customization options and subscribers across different channels can be easily managed. AWeber can also be used to send broadcast messages to your subscribers, which is particularly useful when you are advertising a time-sensitive offer or an upcoming event. From custom templates to email automation and sign-up forms, AWeber truly is one of the best tools for email marketing. It also smoothly integrates with a number of popular programs and platforms like WordPress, Paypal, and Facebook. If you are struggling to grow your email marketing list, the following post entitled How To Get Email Subscribers will walk you through the process. ConvertKit is another one of the best content marketing tools available. It is marketed towards podcasters, bloggers and other businesses who’re building audiences. It is an ideal platform for bloggers and marketers who are looking for something more than what typical email marketing software can offer. ConvertKit is simple to use – there are plenty of email templates available to help you get started. Managing subscribers through the platform is relatively easy and you can also send your subscribers emails based on their interests. ConvertKit is perfect for streamlining your email marketing efforts, which is why we have included it in this list of best content marketing tools. To learn more about ConvertKit, click on the following link read our detailed email marketing software comparison of ConvertKit vs Drip. Ahrefs allows you to track your own progress and also stay aware of what your competitors are doing. If your competitors are ranking higher, you can use Ahrefs to learn why their ranking is high and what you must do to get ahead of them. Track ranking, location per website, update frequency, keywords and a lot more with Ahrefs. Before you begin crafting content, use Ahrefs to research. Plan your content out based on what is working well for your competitors. That way your content marketing efforts will likely have a higher success rate. Drip is another fine example of the best content marketing tools around. An ideal platform for those who’re trying to sell online paid media like eBooks, courses, and reports, etc. It is similar to ConvertKit in functionality but comes with a number of additional features. For instance, with Drip you can tag each subscriber with specific details. It is easier to track email subscribers with Drip and the platform gives the option to customize email marketing automation. If you’re yet to choose your email marketing platform. Our following email marketing software comparison of ConvertKit vs Drip will help guide you through the decision making process. The post will help you find out which email marketing platform best suits your unique business needs. Content won’t do you much good if people don’t read it. To get more people to read your content, you must promote it on social media. Manually posting a new blog post, infographic or video to your Twitter or Facebook account can be time-consuming. Fortunately, you’ve got Buffer to make the job easier for you. Buffer allows you to schedule posts across top social media platforms and analyzes the performance of each post. Thus allowing you to post more of what’s working and drive better results. We have mentioned Buffer before in one of our previous posts which lists the Best Twitter Tools proven to help growth hack Twitter. Content marketers often overlook this great tool that can help increase their brand exposure. It is perfect for drawing attention to a service, resource, or product offered by your website. Upload and share presentations through SlideShare, gain insights about who is viewing your uploaded presentation and collect leads. Despite new tools entering the market, Mailchimp has held its position as one of the most versatile, user-friendly and is an affordable tool for email automation. With the most advanced version of the platform, you can track opt-ins and incorporate Instagram and Facebook ads. There are also plenty of email templates to choose from. You can watch tutorials to see how emails can be automated for funneling and there are also tools available for nurturing subscribers and re-engagement. Mailchimp offers you great personalization, A/B testing, and several other features. Social Animal is another one of the best content marketing tools available today. It allows you to research top performing content on social platforms. The insights feature of Social Animal analyzes thousands of posts and articles and lets you know the best time to post content, the social media channels that would work best for you and the title length that would be ideal for a piece of content. With the Influencer Search of the tool, you can find influencers using a search term or keyword. A “Facebook Search” feature is another great option of Social Animal which allows you to analyze the Facebook pages of your competitors. Based on what’s working well for competitors, you can come with your own marketing strategy for Facebook. The list of best content marketing tools would be incomplete without OneSpot. OneSpot is a unique platform which studies a users’ content consumption pattern and delivers an individual content experience to drive engagement and strengthen relationships. It can guide your content marketing strategy with data-driven content intelligence. OneSpot uses content analytics to improve your content promotion strategies. Zapier is another one of the best content marketing tools out there, which enables you to connect various services together. If you wish to easily post Facebook content on Instagram or want to share it with your email marketing platform, Zapier makes it simple. Zapier integrates with apps like Facebook Lead Ads, Google Docs, Google Sheets, Quickbooks, Gmail and many more. Acrolinx is another one of the best content marketing tools on our list. It’s an AI-powered platform focused on delivering high-quality content. A linguistic analytics engine is used by the platform that first reads the content and then provides guidance. It can support the entire ecosystem of content creation – from defining goals to guiding content creators and analyzing performance. Acrolinx can make all your content consistent. It can analyze the style, SEO, tone of voice and more of each writer to ensure that it aligns with your company’s standard. Triberr is another one of the best content marketing tools on the web. It is an ideal platform for bloggers and brands looking to promote their content. Once you have joined Triberr, you can join tribes. Tribes are communities of people (mostly bloggers) that share content/posts related to particular content. For instance, there are tribes about online marketing, fitness, and SEO etc. By networking with other bloggers, you can establish relationships and find some quality content. You can share content of other people and in return, they may share yours. One of the hardest parts about content marketing is finding trending topics in your niche to write about. BuzzSumo solves this problem by assisting you in finding popular topics in your niche. Moreover, you can acquire information about influencers related to your business. Use BuzzSumo to find the content that’s most shared on social platforms and choose the topic you find interesting for your business. The reports obtained from BuzzSumo will also help you figure out which social networking platforms are better for the promotion of your posts. Funnelytics is another one of the best content marketing tools available these days. It’s perfect for creating sales funnels. You can visually map the entire sales funnel from the source of traffic right down to the conversion stage. It is extremely flexible and powerful, allowing for simple mapping and easy editing. The great thing about this online funnel tool is that it ties together all your marketing pieces, showing how they interconnect to create the big picture– the sales funnel. You’ll no longer have to create different sales funnels on papers. It’ll all be there in a single online space for easy troubleshooting and viewing. Quuu Promote promotes your content via real people. The people who’ll receive your content have signed up for receiving content suggestions from “Quuu.co”. They receive content every day and if they like your content, they may share it which means your high-quality content will be promoted by other people. KingSumo giveaways can help you increase your email list readers. The tool does this through viral sharing. KingSumo adds entrants to your list, sends a special code to them and encourages them to share that on Twitter, Facebook, and other platforms. The more people join the giveaway using the code of the entrant, the more entries the entrant will get and the higher their chances of winning will be. Automizy is perfect for small and medium sizes businesses and marketers who want to gain actionable insights to improve their marketing performance. Unlike other platforms, the user-friendly interface and sleek design of Automizy make it easy to manage multiple campaigns. It takes the guesswork out of marketing by providing actionable and clear insights. Lumen5 is another one of the top content marketing tools that can be used for creating short videos right from blog content. You can enter the URL of your blog post and utilizing its special AI, Lumen5 will create a complete script for the video. After you have uploaded the script via your link (text can also be copy/pasted), you can start matching their free images with your video slides. Once done, you can download the finished video or upload it directly to any social media platform supported by Lumen5. Two other top video creation tools are Animoto and Magisto. Click on the following link to read our review of these two leading pieces of video creation software. Get an in-depth insight into each tool via our Animoto vs Magisto review. If you want a powerful, yet intuitive and simple social sharing plugin for WordPress that can help boost your social shares and increase traffic, engagement, and conversions, Social Warfare is the answer. The free version offers social sharing buttons for Facebook, Pinterest, Twitter, StumbleUpon and LinkedIn, click-to-tweet, shortcodes and more. The Click-to-Tweet feature is great because before now, a separate plugin had to be installed just for adding click-to-tweet boxes into the content. This feature is built-in to Social Warfare to support your social media promotion efforts. Here at Digital Entrepreneur Tools, we use this excellent social sharing tool to help promote our content. Test the tool out for yourself and just see how streamlined the sharing process is by clicking on one of the social icons at the top or very bottom of this post. Lickstats is an ingenious tool which will most likely become an industry standard before long for any serious digital marketer. Lickstats allows you to monitor your content marketing efforts and/or ad campaigns with ease and much more clarity. The Lickstats tool is easily one of the best content marketing tools available today. Gone are the days of spreadsheets full of URLs to help keep track of your content marketing or ad campaign efforts. By this, we mean Lickstats is an automated link tracking tool on steroids! Why? Quite simply because Lickstats allows you to see the entire end-user ‘click’ journal. If you already use the UTM tracking codes in Google Analytics, you will love Lickstats because it will save you a tonne of time. In other words, Lickstats allows for the UTM source to be detected automatically. This means a marketer can pinpoint which Tweet, Facebook post, Ad campaign, eFlyer or blog post etc. the user originated from. Thus allowing for easy decision making when choosing to amplify a piece of content or content channels/platforms or ads that convert. As if this digital tool isn’t already powerful enough, there’s a feature called ‘segments’ which allows the user to run A/B split tests. This makes Lickstats a real game changer in the way that digital marketers will go about their business in the future. So watch the video below for more details or sign up for their forever free plan to get a taste of just how good this tool is. On the other hand, if you’re looking for even more power. We suggest speaking with Lickstats to find out more about their enterprise plan. This plan truly knocks it out of the park (and some…!). The digital world is competitive, which is why you need to rely on content marketing in order to increase your website traffic, create strong connections with customers and drive more sales. The best content marketing tools discussed above will help streamline your content marketing efforts. They will help you with being strategic about content marketing. You won’t have to worry about developing content and monitoring it constantly, watching competitors and keeping on top of optimization techniques when you have the best content marketing tools to help you. 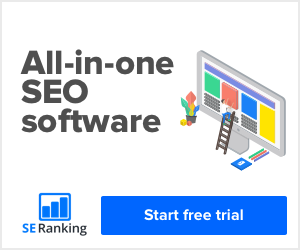 In a nutshell, the tools listed above will help you fulfill your content marketing needs from keyword optimization to email list segmentation, to content creation, to email automation and much more. So, start using the best content marketing tools today and growth hack your way to the top. If you need help growing the online presence of your business, we offer tailored growth hacking services. Contact us today to discuss your unique content needs and find out how we can help scale your business with our tried and tested growth hacking tools and techniques.